Last Friday, Shadwell Stud issued a press release regarding the relocation of their South African-based stallions. The negative conjecture flowing from and preceding this release compels Summerhill to respond, and this statement is intended to set out the facts. Some twenty-two years ago, these two entities commenced a long and mutually beneficial relationship, initiated by the late Sheikh Maktoum’sGainsborough Stud, and thereafter by Shadwell. The trust and respect which characterised the two decades is illustrated in the recent very substantial investment by Summerhill in the family-named School of Management Excellence, one of the finest facilities of its kind in the world, and which has been a resounding success. However, personalities sometimes have an unfortunate way of disrupting sound business relationships. In general terms, several major interventions by an official of Shadwell have soured the relationship, making it untenable for Summerhill and its staff to continue. Beyond the broad disclosures mentioned here, Summerhill, out of respect for the relationship, does not believe there is any value in disclosing the detail, unless legal, commercial or moral necessity dictates otherwise. In July 2009, in the presence of some 700 local and international attendees, a Shadwell official publicly announced a pledge of several million Rand towards the erection of the School of Excellence, in recognition of the contribution Summerhill had made to the success of Gainsborough’s business. As matters turned out, the pledge was not a donation but a loan, offered on terms so onerous that any one of four of the conditions could have materially impacted Summerhill’s finances in the future. Naturally, Summerhill declined to accept, given that much of the money had already been advanced and used in the project. Numerous acts of reprisal ensued, initiated by the same Shadwell official, in an attempt to force Summerhill to accept the conditions. One of these involved an attempt to discredit Summerhill with the suggestion that it had improperly received proceeds from the local breeders’ premium fund. A decision delivered by a much respected Senior Counsel arbitrator vindicated Summerhill completely, and led to the resignation of the Chairman of the local breed society. In his letter to his constituents announcing his resignation, this gentleman expressed his regret at the harm which Summerhill had suffered, and he confessed to certain errors of judgment, for which he recorded his apologies. He conceded that Summerhill had at all times acted with integrity and within the rules of the fund. Regrettably, there has been no remorse shown on the part of the Shadwell official who contributed to this man’s resignation. More recently, following another lengthy arbitration process, Summerhill was once again vindicated by a retired judge of the Appeal Court, when Shadwell failed to respect Summerhill’s rights under a stallion standing agreement, co-authored by the same Shadwell official. The judgment was accompanied by a costs award in Summerhill’s favour. Towards the end of November, in the wake of this judgment, Summerhill’s solicitors notified Shadwell of Summerhill’s intention to terminate the relationship, and invited Shadwell to join them in a statement on the matter, and to consider alternatives for the housing of its horses. In view of their age and waning fertility, Summerhill also offered to provide a retirement home for their stallions at the appropriate time. Both these invitations were ignored. The Summerhill Stallion Day this Sunday will witness the teaming up of two unlikely forces, on the face of it at least, in a celebration of excellence and dedication. So if you’re going to be at the Summerhill Stallion Day on Sunday, you’re in for a real treat… where the ceramicists have traded in their zebra stripes for the racing thoroughbred. A glance at the number of publications that carried the news of A.P. Arrow’s importation to Summerhill and South Africa tells us that this is a big “item” horse in the real sense of “big”. Just about every worthwhile daily racing publication in the world covered his story, a veritable who’s who of the game. It takes a “heavy” to make newsworthy reading, and A.P.Arrow’s standing in the pantheon of racing was obvious from the popularity of his story. Here’s a list of the publications. Many people appear to think this is not a sensible time to be investing in assets of any kind, let alone racehorses. Yet in the annals of the Goss family, it’s only a matter of history repeating itself. When Pat Goss snr found himself in the winner’s circle in the aftermath of St Pauls’ victory in the 1946 Durban July, he immediately set out to acquire a son of the world’s pre-eminent stallion at the time, Hyperion, applying the entire first prize to the purpose. Just a month ago, the Summerhill contingent returned to the farm from a triumphant National Yearling Sale. Within a matter of weeks, they’d applied the entire proceeds (and then a bit) to the acquisition of two new stallion prospects, one of which, A.P.Arrow, was the subject of this column a fortnight ago. In another ground-breaking event in a long-standing history of “firsts”, the nation’s leading breeders have teamed up with Japan’s perennial Champion establishment, Shadai Stallion Station and Northern Farm, in bringing this continent its first son of Sunday Silence. While it would insult his fame to repeat the detail of his achievements here, it’s fair to say, Sunday Silence has had as profound a breed- shaping impact on the evolution of the thoroughbred as any stallion of the modern era. Anyone in the States last week with the running of the Preakness, would’ve been reminded how big the Triple Crown is in the American psyche. Given the turmoil in that country, the result of the first two legs were a tonic to a nation crying out for some good news. If you were in the self-proclaimed “Thoroughbred Capital of the World”, Kentucky, you’d have been struck by another phenomenon: the pervasive influence of the reigning “emperor” of American stallions, A.P.Indy. Every major farm stands at least one son or grandson, and while his fame rested initially on classic types, these days the tribe are running short and long, on the grass or on the dirt, and they’re flying on the polytrack as well. Camden Park’s instant success with two Grade One winners in his first two crops in South Africa, makes a compelling case for A.P.Indy in this country. Unsurprisingly, Champion breeders, Summerhill, Drakenstein Stud and a European investor have teamed up in acquiring A.P.Indy’s best son worldwide in 2008, in the form of the millionaire racehorse, A.P.Arrow, who carried the celebrated silks of Cigar’s owner, Allen Paulson, through several Graded Stakes victories and five Grade One performances. The earner of close to $1,5million in his own right, A.P.Arrow is a brother to fellow millionaire and multiple Grade One winner, Geri, and one other Stakes winner. His dam is a daughter of Mr. Prospector, winningmost Broodmare sire in American history, and she’s a three-quarter sister to many times Champion South American stallion, Hussonet. Speaking from Summerhill, Mick Goss said “we’ve been waiting for an opportunity like this for several years. Knowing that Barry Irwin, for whom I have the highest regard, had valued him at several million dollars (and then some) a short while back, when A.P.Arrow came into range, it was a chance we had to take. It was only the current financial crunch in the U.S. that made him reachable, and while we still had to “mortgage the farm” to get him, we wouldn’t have fired so much as a shot for a horse of his class in normal times. We’re just so grateful to have him, and especially for the help of old friends in making it possible. Good people never fail you, especially when the chips are down”. 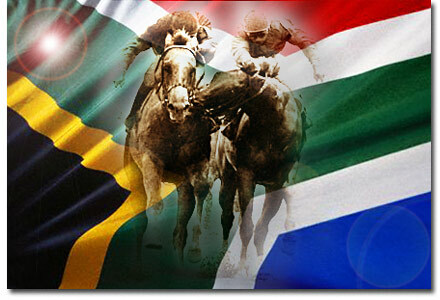 “World, hold on tight” because South African racing online media has changed forever… www.racingweb.co.za is born. Racingweb is a revolutionary horseracing media venture forging the talent and drive of South African horseracing entrepreneur, Charl Pretorius, and radio, TV and financial world celebrity, Alec Hogg. The 2009 Emperors Palace National Yearling Sale countdown has begun and BloodStock South Africa will be more than hopeful that the local market remains strong enough to weather a global economic crisis as deep and dire as the Great Depression. In stark contrast to earlier yearling sales held in the Southern Hemisphere, where double-digit declines have been the order of the day, results at the GrandWest Yearling Sale proved more than encouraging, with the average showing an increase 9% on last year’s total. That said, BloodStock South Africa has catalogued the cream of the 2007 foal crop, a total of 596 yearlings, which will go through the TBA sales ring at Germiston from April 3 to 6. The decision to do away with the contentious ‘green pages’, the so-called Select Session, has been welcomed by consignors and trainers alike. Many felt that the green pages set up a false market at the start of the sale, with major buyers not returning or ignoring the non-select yearlings, and the general feeling has been that buyers will now stay for the duration of the sale. The concept of a select sale has also outlived its purpose, as witnessed in the US, where Keeneland’s July sale was abolished when many of the major vendors opted to send their better yearlings to the marathon September Sale. Likewise, major English auction house Tattersalls has done away with its select Highflyer Sale. Once again, a high percentage of the yearlings on offer boast international bloodlines, added to which there is a fine cross-section of international proven stallions represented at this year’s sale, all of which should appeal to the most discerning international buyer. Over the past twelve months, the sale has received a fillip thanks to the exploits of a slew of graduates, ten of which won at Gr.1 level and were purchased as yearlings from as little as R25,000 for Gold Cup hero Desert Links (in 2005), Gypsy’s Warning (R170,000 in 2007), Russian Sage (R450,000 in 2006), Urabamba (R475,000 in 2006), Buy And Sell (R300,000 in 2005), Rudra (R375,000 in 2006), Kings Gambit (R600,000 in 2006), Wendywood (R800,000 in 2006), On Her Toes (R800,000 in 2007) to R1.8million for Warm White Night (2007). No less than 131 stakes winning mares are represented, 24 of which are Gr.1 winners. The catalogue features siblings to 32 Gr.1 winners including Russian Sage (by Dynasty), On Her Toes (by Spectrum), Disappear (by Kahal), O Caesour (by Rakeen), Diamond Quest (by Saumarez), Consensual (by Spectrum) and Mother Russia (by Dupont). The Thoroughbred industry is part of an extremely well established global trade. This must be one of the industries with the greatest potential for international travel for a young person. You have people travelling the sales circuit from one country to another, and others working 6 month breeding seasons on opposite sides of the equator, on a regular basis. It’s not only about the work, but also experiencing the cultures, traditions and environments of all these countries. With horses, it barely matters what language you speak, because the skills you need are universal and the most important attribute is passion. Singularly, passion is the only language. Besides the fact that Summerhill has sent its employees from the previously disadvantaged community on more than 32 overseas trips, we also offer opportunities for young people to work here. This has provided us with some exceptional seasonal help over the past 10 years, provided by locals and people from abroad. Thoroughbred racing is a diverse profession, and spending time on a world class stud such as Summerhill, you are not only exposed to stud work, but also get a glimpse on so many facets of the racing world. Mick FlanaganMick is from County Louth in Ireland and spent several months in 2006 working at Summerhill. He has worked at a variety of the top studs in the world including Coolmore America, Haras du Logis and Haras de la Louviere in France. Currently a second year intern on the Darley Flying Start course, Mick is doing a 5 week placement with Mike De Kock in Dubai. Douw CoetzeeAfter finishing a year and a half internship at Sequel Stallions in New York, South African born and bred Douw worked two seasons at Summerhill as assistant broodmare manager. He then did the internationally renowned Irish National Stud course and is currently working for Arrowfield Stud in Australia. Claire NeveuxClaire came to us as the top graduate of her year at the Irish National Stud course, after previously having worked at Lord And Lady Lloyd-Webber’s Watership Down Stud in Hampshire. After finishing a season at Summerhill, Claire returned to her native France, and is studying Animal Science at Paris Diderot University. Declan FoyAnother Irishman, Declan initially started his career as a banker and then swopped it for the greener pastures of Sheikh Hamdan’s Shadwell Stud in England. Shadwell’s 20 year association with Summerhill led to Declan coming here last season. He worked as Assistant Foal Manager at Summerhill in the 2008 foaling season, our biggest seasons yet, with 245 mares foaling down. After completing his season at Summerhill, Declan is currently working at Juddmonte Farms (our Broodmare Manager, Annet Becker, is another Juddmonte graduate) in America, after which he will do a season in Australia. “I learnt a great deal from my time at Summerhill and it was wonderful being part of such a successful team with a great attitude to working hard. I would encourage anyone to spend a season there as it is the most rewarding and worthwhile experience”, says Declan. A seasonal or longer internship at Summerhill is unlike most in the world. The experience you get here in all the different aspects of horse management, from treating sick horses, evaluating young stock, staff management, client relations to sales prep and breeze ups, is a lot more challenging than in most other countries of the world, mainly because the level of responsibility is much greater. Interns are not simply used as labourers, but are introduced to the demands of management. It involves long hours and is not for the fainthearted. Accommodation on the farm and a living allowance are provided. Dubbed by the marketplace as the Rolls Royce of South African horse feeds, Vuma’s technological leaps of the past decade have wrenched the South African environment from it’s backwater slumber to the forefront of the international revolution in athletic nourishment. On its way, Vuma overturned the outmoded philosophies of the eighties, and became the world leader in the production of organically based feeds. Sunday evening witnessed the convergence on Hartford House of a number of Vuma’s foremost distributors, and there was pretty much unanimity among those gathered that the benchmark Vuma has set in the feeding of horses, is replicated in the dinner Jackie Cameron and her team served up at Hartford. A meal at KZN’s Number One restaurant set the tone for the unveiling of Vuma’s latest secret weapon, and the reception the “new generation” range received was an encouraging precursor to a launch which has been gathering momentum for a few weeks now. Within a week of this note, all Vuma’s stockists should be carrying the new range, where the chic green wrappers will guarantee the longevity of a product that has brought a new definition to the word “freshness”. It’s been a helluva year for Summerhill. New records at the races, new benchmarks for the trade, and a brand new Breeder’s Championship, for the fourth consecutive year. You’d think we’d be quite pleased with ourselves, and we’d be kidding if we didn’t admit to feeling a bit lucky. Yet this is the time to give credit where credit is due. As a business, we‘re more dependent on people than most. Mainly because we started with nothing, and without relationships, we’d have ended with nothing. We owe everything to the people around us. Our customers, those that keep their horses with us, and those that support our sales. Our suppliers, our advisers, our bankers. Our trainers, our jockeys, our agents. Those that promote our sport in the media, and the fellows that lay on the show. The fans in the stands, and the punters at the rail. To our colleagues, the breeders, who kept us at our game, and played it the way it should be. Thank you. We re proud to call you our friends. And then finally, to our own team, and the horses they’ve raised. You’ve set new standards in the way things are done. Encore for your dedication, your integrity and your decency, and as much as anything, your ingenuity. You’re the reason we get up in the mornings. With the Gomma Gomma dropping out of the sponsorship race, the Summer Cup under the generous hand of Steinhoff’s Group CEO, Marcus Jooste, is back in its rightful place as South Africa’s third richest horserace, with an enhanced stake of R2,000,000. Yet that’s not all this time-honoured event has to offer this weekend, as it comes with the additional attraction of the renewal of the Jockey’s International, pioneered in the old Transvaal more than 40 years ago, by the legendary likes of Sandy Christie and Wally Segal during their tenure as General Manager’s of Turffontein and Gosforth Park respectively. Who will ever forget the spectacle of those bigger-than-life clashes between the colossis Lester Piggott, Ron Turcotte (remember SECRETARIAT? ), Willy Carson, Fernando Toro, and the older Gianfranco Dettori, father and mentor to racing’s greatest name of the modern era, Frankie Dettori? Meanwhile the focus of today’s script is the race itself, and the fact that Summerhill has no fewer than four entries headed by the Group One performing GALANT GAGNANT; the rapidly improving THANDOLWAMI; JAY PEG’s Guineas nemesis, DYNAMITE MIKE and dyed-in-the-wool veteran, FORK LIGHTENING. According to Jimmy Lithgow, writing in this weekend’s Sunday Times, the horse they all have to beat is GALANT GAGNANT, an eye-catching fourth behind the top-notch Our Giant in a preparation race at Turffontein over 1400m earlier this month. This four-year-old was a short-head second behind the Dubai-bound Russian Sage in the Daily News 2000 (Gr1) at Greyville, and if his subsequent disappointing runs in the Vodacom Durban July and the Champions Cup can be overlooked, he seems to be peaking at just the right time. Anthony Delpech has the ride while the stable’s first jockey, Kevin Shea, will be piloting Rudra. Another big chance is Charles Laird’s Smart Banker, an impressive winner of the recent Grade 2 Victory Moon Stakes when he had Mike de Kock’s Rudra just over a length behind him. Of the older horses, Prince Asad has the class and the stamina to win for Geoff Woodruff, whose stable has recaptured its form of old. Stable jockey Mark Khan will partner Geoff Woodruff’s obvious first choice, the younger Aluminium. The latter appears to be somewhat overrated by the handicappers though, and capitulated tamely when challenged by Smart Banker and Rudra in the Victory Moon Stakes. Charles Laird’s third runner, Likeithot, was a gutsy winner of the Grade 2 November Handicap, but may battle to beat Thandolwami, a fast-finishing second on that occasion. KwaZulu-Natal trainer Craig Eudey will be going all out to achieve a ground- breaking success in the Summer Cup and Thandolwami, who has something to find with Galant Gagnant on their Daily News 2000 form, cannot be discounted. If you’re looking for a long shot the out of form She’s On Fire is lengths better in soft going while Membrado, second in last season’s Canon Gold Cup at Greyville, is not short on stamina. The latter’s stable companion, FORK LIGHTENING, tends to rise to the occasion and rates a place. The Board of Directors for the Emirates Racing Authority has released fixtures for the 2008-09 UAE racing season and have announced that the 2009 Dubai World Cup will be held on Saturday, 28 March. The world’s richest day’s racing will be the highlight of 46 race meetings this season, hosted by three racing clubs of the United Arab Emirates; the Abu Dhabi Equestrian Club, Dubai Racing Club and Jebel Ali Racecourse. The season will open at Nad Al Sheba on Thursday, 6 November, the first of 21 fixtures there. The first 10 fixtures make up the Winter Racing Challenge, before the Dubai International Racing Carnival commences on Thursday, 15 January, with the first rounds of the Sheikh Maktoum bin Rashid Al Maktoum Challenge. The 10 2009 DIRC fixtures will be held on the corresponding weekends to that of last season, and climaxes with the Super Thursday meeting on Thursday, 5 March. Jebel Ali will host the first of their 10 Friday meetings on 21 November, while Abu Dhabi stages 15 Sunday fixtures, commencing on 9 November. From a Summerhill perspective, we’ll be keeping a close eye on the challenge by Kahal’s Desert Links, Galant Gagnant and Art of War, as well as last season’s electrifying performer Imbongi. On Saturday 20 September, the Natwest Rowley Mile Racecourse in Newmarket is the venue for Racing South Africa’s 2008 promotion of the South African horseracing industry to the hugely knowledgeable racing public in the United Kingdom. Thanks to the recent exploits of South African racehorses around the world, informed bloodstock investors like Andreas Jacobs, Sabine Plattner, Fieldspring Racing, Gainsborough and Shadwell Studs and more recently Sheikh Mohammed Bin Khalifa Al Maktoum and Dr Jim Hay amongst many others, have made South Africa one of their first choice horseracing destinations! In fact, it is estimated that 25% of all horses in training in Cape Town are paid for by UK-based owners, not surprising when one considers that the entry level is nearly one fifth of the cost in the UK! Whereas in the past Barbados was the winter haven for many European racing personalities, South Africa, and in particular the Cape, has taken over this mantle. Therefore, the Racing South Africa promotion aims to grow foreign participation by providing relevant information about our industry and to highlight Sales and Racing events in the forthcoming months and next year. The last South African promotion at the famous Rowley Mile racecourse was in October 2006 when Racing South Africa sponsored the Houghton Stakes. 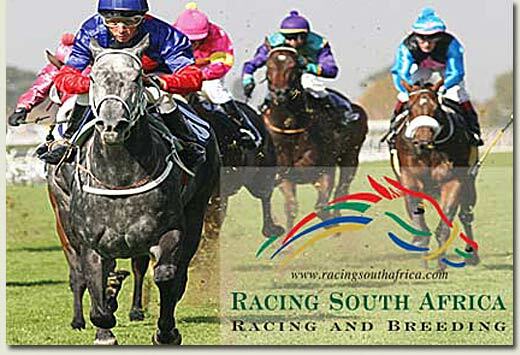 This time round, Racing South Africa has secured the sponsorship rights to all races on the seven-race card. The aim is also to create a special South African theme day which potentially could become a standing feature of the UK’s racing programme. This year Racing South Africa has been fortunate to attract a number of prominent co-sponsors including Investec Bank, Phumelela Gold Enterprises, Thoroughbred Breeders Association of South Africa, Racing Association, Mary Slack, Mike de Kock International Racing and Kenilworth Quarantine Station. The Western Province Owners & Trainers Association, whose original brainchild this initiative was, has continued to support the event and via Chairman, Rodney Dunn, Lita Futeran, Bruno Mercurio and Hymen Maisel will be on hand to promote racing in the Western Cape. As a special feature of the day, the legendary race caller, Sir Peter O’Sullevan has agreed to lend his name to the Racing Association’s sponsored race and will be on hand for the handing over of mementos to winning connections. RA CEO, Clyde Basel is expected to call a race on the day. Naturally, he is hoping to avoid a 30-runner field! As usual, South African wines will be on display in the Member’s Lawn Enclosure thanks to the generous donations of Graham Beck Wines, L’Ormarins, Avontuur, La Brie and Arabella Wine Estates. To add value, Wines of South Africa, the marketing arm of the wine industry has sponsored a wine tasting and renowned wine-maker, Pieter de Waal, will fly in to oversee the tasting. To add further South African flavour to the day, negotiations are in hand to introduce typical South African cuisine to the menus and the SA Consulate will be present to perform official duties. Freeracer reports that Frankie Dettori and Mick Kinane, two of the biggest names in horseracing, are among the six international jockeys who will clash with South Africa’s top riders in the International Jockeys’ Challenge at the Steinhoff International Summer Cup race meeting at Turffontein Racecourse in Johannesburg on Saturday 29 November. The international team contains champions from several countries including the UK, France and Australia. The full team is Frankie Dettori (England), Mick Kinane (Ireland), Ryan Moore (England), Damien Oliver (Australia), Srinath Surender (India) and Christophe Soumillon (France). Italian-born Frankie Dettori has become a legend in his own lifetime and is the most famous jockey in the world. He is the retained rider for Godolphin, the banner under which the rulers of Dubai race, and has won virtually every major race in the world including the Epsom Derby, the Dubai World Cup, the Breeders’ Cup Turf in the USA, the Japan Cup and the Arc de Triomphe. Ryan Moore was champion apprentice in the UK in 2003 and went on to clinch the British Jockeys’ Championship in 2006, when he booted home 180 winners. Injury put paid to his chances of retaining the title last year, but he currently holds a commanding lead in the race for this year’s UK jockeys’ title. Belgium-born Christophe Soumillon has been a dominant figure in French racing for years. He was champion apprentice there in 1999 and won the French Jockeys’ Championship in 2003 with 207 winners. His major successes include the Arc de Triomphe, the Breeders’ Cup Turf, the Dubai Duty Free and the King George VI and Queen Elizabeth Stakes in England. Srinath Surender has won the jockeys’ title in India no fewer than five times and has won virtually all the major races in that country. He has ridden over 900 winners from 2800 rides, including some 40 successes in Macau. Damien Oliver is a household name in Australia and has won 80 Group 1 races, including the Melbourne Cup twice, four Caulfield Cups, two Cox Plates and a Golden Slipper to complete the Grand Slam of Australian Racing. He has won the Melbourne Jockeys’ Premiership on seven occasions and ridden with success in New Zealand, Mauritius, Hong Kong, Japan, Ireland and England. The international riders will compete against South Africa’s best jockeys in a thrilling four-race challenge on Steinhoff Summer Cup day. It will be the first international jockeys’ contest in South Africa in some 20 years and JSE-listed Phumelela, which operates horseracing and/or tote betting in seven of South Africa’s nine provinces, is proud to have been able to secure such a formidable international team. The riders to represent South Africa will be selected in the near future. Phumelela has asked the National Horseracing Authority, an autonomous national body that is responsible for ensuring that all races are run according to the rules of horseracing, to choose the team. There will be a draw for mounts in each of the challenge races and the runners will be seeded beforehand in order to equalise the chances of the two teams as much as is possible. The International Jockeys’ Challenge will be one of the highlights of a glorious afternoon of horseracing action on 29 November. The R2-million Steinhoff Summer Cup, one of the most famous races on the South African racing calendar, is the headline event and is certain to produce a memorable battle between many of the best thoroughbreds in the country. Several other major races will also be run and there’s no doubt that the afternoon will live up to its billing of “Joburg’s Golden Event”. “We are excited with the big names we have secured for the international team and are grateful to the Racing Association for their assistance and support,” said Phumelela’s Group CEO Rian du Plessis. Phumelela’s General Manager Marketing and Communications, Robert Garner, said the jockeys’ challenge would capture the imagination of horseracing fans and the general public alike. When the curtain came down on the 2008 Emperors National Two Year Old Sale at Gosforth Park on Sunday night, there were many happy faces at the TBA Sales Complex. Bloodstock South Africa reports that the sale was buoyant and exceeded all expectations by matching last year’s record levels. With 100 fewer lots catalogued this year the aggregate reached R26,785 million. This figure, on the level of an equally projected 409 lots, would be roughly R1 million up 2007’s R25,852 million. Second-highest price of R475 000 was paid by trainer Ormond Ferraris for Divine Jury’s half-sister Velvet Hue (Lot 182), a bay filly by National Assembly. Basil Marcus paid R360 000 for Lot 82, Look To The South, a filly by Captain Al described by her breeder Dan de Wet of Zandvliet Stud as the plum of his consignment. The trainer also spoke highly of Lot 300, Silky Lily, by Spectrum, bought from Highlands Farm for R340 000. “Graham Beck will be retaining a share in this one, she’s a grey filly with class about her,’’ said Etienne Braun. Klipdrift Stud (Agent) topped the list of vendors by aggregate. Klipdrift sold 21 lots at an average of R159 049 per thoroughbred, including Jet Master’s son Jet Command (lot 265), for R310 000. Highlands Farm’s resident stallion Spectrum topped was the top sire by aggregate. Fifteen of his offspring fetched R2,475 million at an average R165 000 per lot sold. Jet Master, 2008 Champion Stallion, continued his success with the top average price of R287,500. 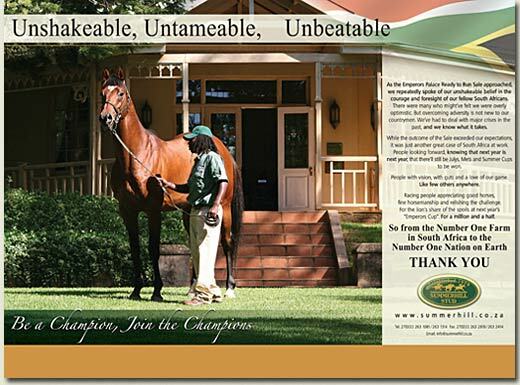 SUMMERHILL’S 4TH CHAMPIONSHIP : Another ground-breaker. When Summerhill first aspired to the coveted title of South Africa’s Champion Breeder, it became only the sixth entity in history to do so. For the first time, the most tightly-held trophy in racing found its home on the eastern side of the Drakensberg, and in a sense, the centre of the universe moved a little to the right, if you’re thinking of horses. On Thursday evening at Emperors Palace, Summerhill was acknowledged as the first awardee to receive four consecutive Championships in any category, since the inception of the Equus Awards. But what really was significant, was the number of people that shared in its celebration. Summerhill is not about one man or one family’s ambitions. It has raised generations, educated children, staffed other farms and opened the world to many who might not’ve known life otherwise. It’s a monument to hard work, sacrifice and innovation. Besides those that earn their crust at Summerhill, on the podium we shared the joys of the Premiership with at least 300 others, those who work alongside us, and those who partnered us in the horses that took us there. Without them, we’d still be running for place money. To show how much it meant to all of us, we painted the City of Gold in a colour which matched this morning’s sunrise, just to let them know the Summerhill team had been visiting. After four consecutive visits, we’re getting to know our way around Jo’burg too. It’s one helluva town, if our memories serve us properly. Remember this though, if you want to join the party, it’s never too late.